The factors to consider when selecting the most ideal relationship. the globe. Making the right decision is vital for achieving the most accurate representation of your prototype as well as cutting cost and saving money. Price, lead time, quality control, customization, and minimum order size are but a few of the factors to consider when searching for the PCB assembly shop most suited for your individual product. Every PCB project is distinct and varies in size and scope. One client may require a single board for prototyping whereas another may need a few dozen; a small order for one company may be a large order for another. As a result, it’s important to find an assembler that can fulfill an order according to one’s specific need. For example, Advanced Assembly specializes in low volume, quick-turn orders – perfect for prototyping new products or smaller production runs whereas other assembly partners may concentrate on quantities over ten thousand pieces. Evaluate the assembler’s procurement division to determine which vendors provide the components used in the turn-key service. Make sure the company is sourcing parts from certified component suppliers and they are abiding by industry standards for overages and counterfeit material. Are these experts capable of creating an accurate bill-of-materials based on the design file, and, if so, how does the assembler ensure that the PCB is assembled with the exact materials listed on the BOM? It is also helpful to ask about their component substitution policy, in case a part you’ve selected may no longer be available. Review the assembler’s repertoire of equipment and familiarize yourself with the assembler’s capabilities to forecast the quality of the end result. 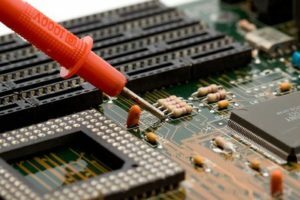 The PCB assembler’s ability to deliver an order to exact specifications depends on the available assembly equipment being used. For example, if the PCB design necessitates surface-mount components, then the ideal assembler will own pick-and-place machines, reflow ovens, 3D BGA inspectors, and rework equipment. A quality assembler must possess the expertise needed to accept new projects as well as be able to troubleshoot them prior to commencement. The assembler should operate autonomously and require minimal input from the client once the assembly order is underway. 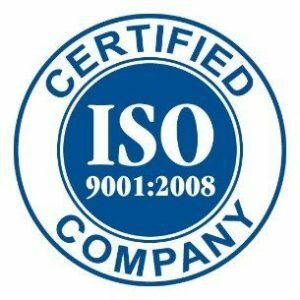 Verify that they’ve been awarded a certification in quality such as the ISO 9001:2008 standard. The purpose of offloading this responsibility onto a contract assembler is, after all, to make your life easier. The proximity of the assembler and the customer is an additional factor to consider when shopping for an assembly partner. Overseas assemblers may be able to economically handle large quantity orders, but the delivery time can be up to six months. US-based assembly houses, on the other hand, have faster delivery times, with some shops offering overnight shipping as a standard service. The location may also be important if the design is ITAR or export controlled. Labor costs differ based on the experience of the assembler as well as the type of service provided. Will you provide the assembler with all the necessary components or will you save valuable time by entrusting the assembler to procure the components? Some assemblers, such as Advanced Assembly, offer both turnkey and consignment services. Turnkey assembly eliminates many hassles from the assembly process; customers need only submit their design files and a company such the assembly house will leverage its relationships with part and board vendors to procure the necessary components. By contrast, if you prefer a hands-on approach, consignment services permit you to mail in your PCB and components and then the project will be assembled for you. Customer satisfaction is a metric for excellent service. Contact the assembler of interest for a list of references. Following these guidelines will help you select a PCB assembly partner. The more information you’ve researched, the easier it is to select the most suitable candidate for your specific project. Looking for additional criteria to use when selecting a PCB partner? Click here to read our guide on “Finding ‘The One’ for You” – a guide to help you in selecting the right partner for your project.